In the process of starting your business you've glossed over more than a few articles that have eluded to this SEO thing. But what the f*** is it? When someone (let's call her Amy) types something into google (or any other search engine), google's robots scan the internet looking for relevant content. They then list out the content on the search page from most relevant to least relevant so Amy can easily find an answer to what she is searching for. SEO works with and for your website by giving it the opportunity to be seen on google searches. 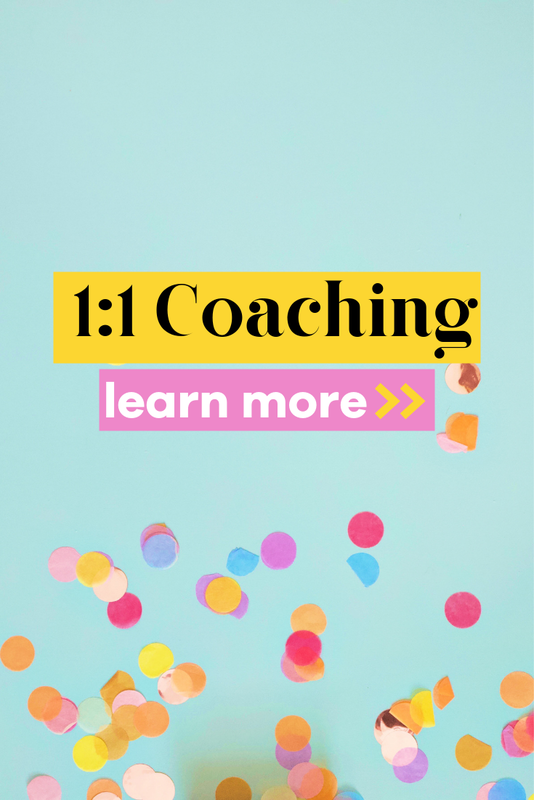 As a business owner, you'll want your website and the content you create to be at the top of the list when someone searches for something relevant to what you offer. This is what is called Rank. The lower your rank score, the higher on the list you'll be. And our goals is to be on the first page of google so we can get the most traffic and visibility. In addition, SEO also gives google the tools to know what your site is about. They read through your pages and pick up on words, phrases, etc and keep a log of the things you talk about frequently. This way the next time Amy decides to search about the best cupcake recipe your article will be the first one she sees. Search Engine Optimization can seem a bit mystifying to small business owners. In fact, many tend to ignore the opportunity to scale their business using it, just because it seems too techy. But, with a basic knowledge of the SEO best practices, you can find higher traffic by simply being a little more intentional behind the content you create. 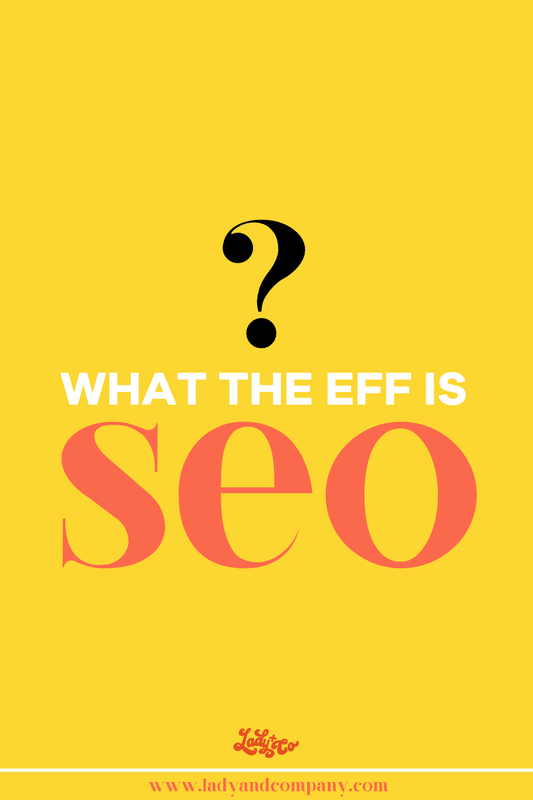 What the eff is seo!? Google is really good at scanning through the pages on your website and reading the text you write, but when it comes to images, google doesn't have the capability to decipher those quite yet. So, to solve this problem, there are a few ways to link text descriptions to the images you have your website. One of the simplest ways to tell google what your images are in reference to, is to add what are called Alternative Text (or alternative tags) onto the backend of an image. Sound complicated? It's not.. check it out below! Another thing that google will read to try to decipher the images are the names of the image files. So, rather than leaving your file names as IMG32293.JPG, simply change the name to include keywords relevant to your content. While this might not effect how google reads your images, it does effect your rank. Big files load slower and google does not like that. Try compressing larger images with a tool like this one. Google will find relevant content to what Amy (remember her?) has searched for by taking keywords from her search and matching them up with articles that contain those same keywords. The more times your article contains that keyword the more likely it is that your webpage will rank in your favor. Google has a Keyword Tool that makes it super easy to search for keywords and research how well those keywords are doing on google, and all you need to do it set up a free AdWords account. Once you have found the keywords you would like to use, start to include them in your copy on your website. Use them as often as you can while keeping a natural flow. Writing blog posts is the #1 way to organically use keywords on your website. I suggest you choose one keyword or key-phrase to focus on in each blog post. And, again, use it as often as possible while still being natural. A backlink is a link on another website that links back to your site. Google will see that other webpages are sharing your content and will, in return, think that your content must be pretty great! By collaborating with other people, you will provide links back to your site on their website! Put your link down on review sites, or other directories relevant to your niche! SEO doesn't have to scary, babe. In fact, by implementing just a few SEO best practices into your workflow you can really boost your visibility online! It doesn't take crazy algorithms or even a technical know-how. Really... TRUELY.. all you have to do it be intentional behind your content and how you're presenting it. Bam. Done. Happy SEO-ing babes!